Among the priceless books contributed by Srila Sanatana Goswami to the literary heritage of the Gaudiya Vaishnavas, his Sri Krsna-lila-stava is the shortest and simplest. An offering of praise in 432 verses, it gives a personal meditation on Krishna's Vrindavana pastimes as told by Shukadeva in Srimad-Bhagavatam. This is an authentic spiritual work that has inspired Gaudiya Vaishnavas for centuries. Able to touch both heart and mind, it steps forward from a living tradition to bear witness to the working of the spirit. 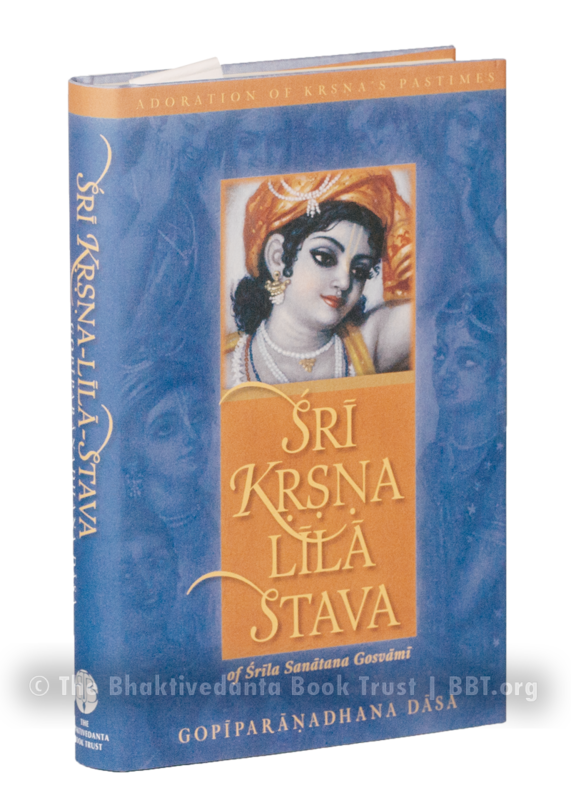 This edition of the Sri Krsna-lila-stava is especially praiseworthy because it gives a scholarly but easily understandable translation of the Sanskrit text interspersed with helpful and sensitive commentaries.